Golden pendant with tri-color amber. Colorful and elegant pendant. 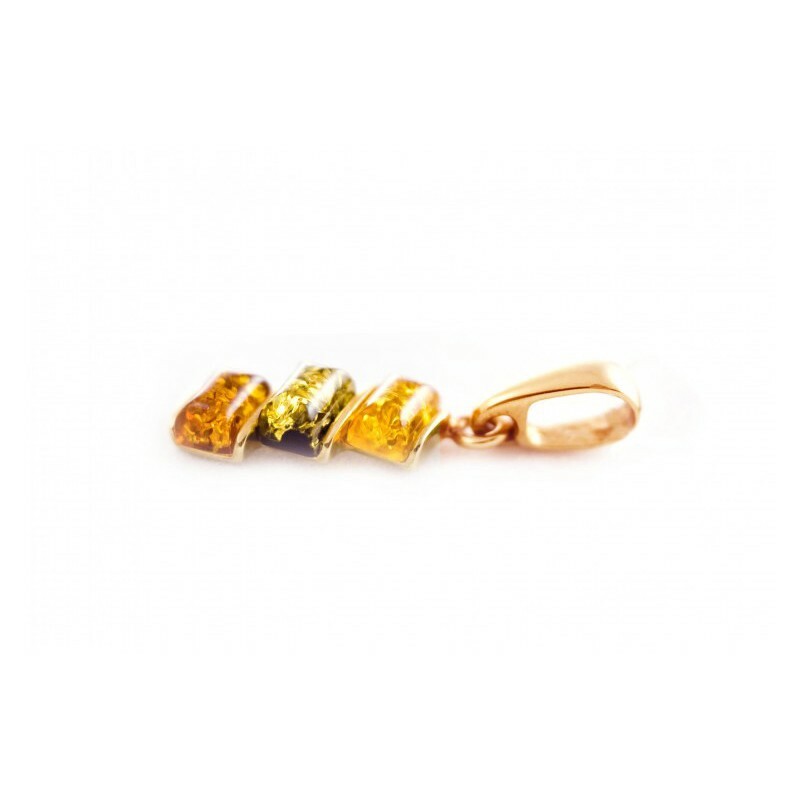 Tri-colour small amber pieces in a gold rim. A red shade of the setting sun goes perfectly with a transparent yellow one that reminds of liquid honey. All that is perfectly complemented by a soothing forest moss greenness.